Swansea Lord Mayor Cllr. 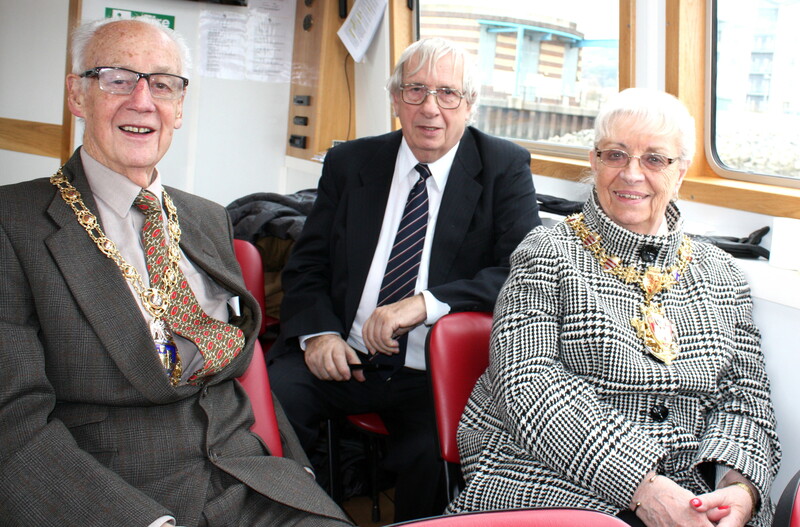 Ceinwen Thomas and her consort Mr. David Thomas were welcomed aboard Copper Jack on Wednesday 26th November by Trustees and volunteers of Swansea Community Boat Trust. The visit marked the tenth anniversary of the setting up of SCBT. A cold but sunny morning was ideal for the viewing of the many industrial heritage sites along the river bank. With many of the deciduous trees now shedding their leaves the ever changing scenery impressed our guests. The Lord Mayor was pleasantly suprised to hear that since our inaugaral public cruise by our new purpose built Copper Jack, on June 10th 2014, SCBT have carried around 8000 passengers. She further commented on the high quality fitting out of Copper Jack providing a most comfortable trip for passengers. Despite the rather low temperatures being endured by our outside crew, the enclosed nature of the passenger area with the Boat’s efficient heating system provided a cosy enviroment. Cllr Thomas a long time supporter of SCBT congratulated Trustees and volunteers for the many years of effort to put in place such an outstanding experience for locals and visitors to Swansea. 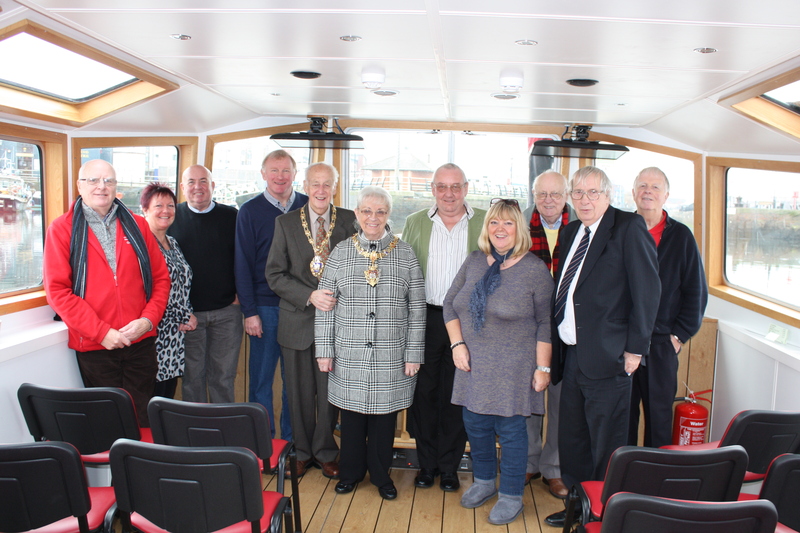 Before departing The Lord Mayor assured those present that a River Trip on Copper Jack would feature highly on her list of ‘Things to see or do in Swansea’ for her many visitors to Swansea. She wished SCBT every succes for the future. This entry was posted in Events, Publicity, Volunteers on 26 November, 2014 by MAW. This entry was posted in Publicity on 28 April, 2014 by MAW. This entry was posted in Publicity on 27 October, 2013 by MAW. This entry was posted in Publicity on 20 September, 2013 by MAW. This entry was posted in Publicity on 9 July, 2013 by MAW. This entry was posted in Publicity on 23 June, 2013 by MAW.